Take a trip back in time and revive your favourite childhood holiday memories with the A Frame at Scotts Head. 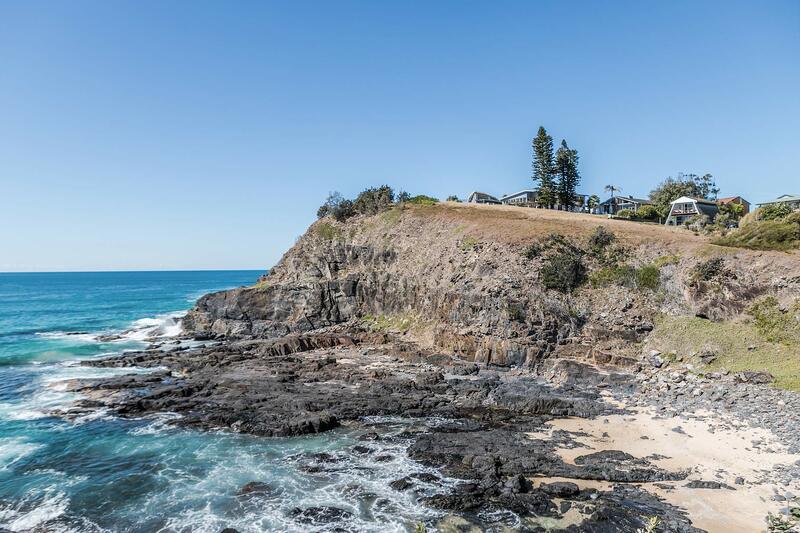 This classic 1970’s 3 bedroom, 1 bathroom A-Frame home with Wi-Fi enjoys an absolute beachfront, north-facing position atop a quiet headland with uninterrupted, panoramic views across the gorgeous Mid North Coast and the magnificent Great Dividing Range to the west. Sleep easy in the cosy attic-style bedrooms, relax with modern, comfortable furnishings and wake up to the most magical views. 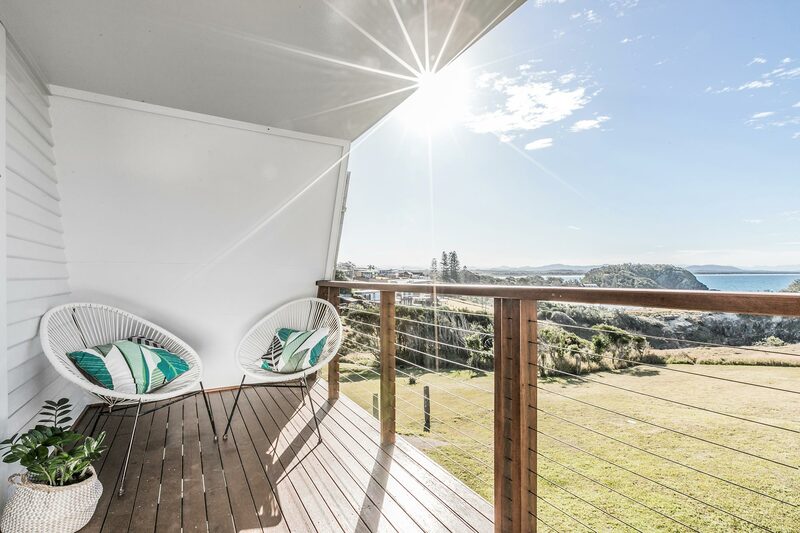 Stroll a few hundred metres to access epic waves at the east-facing surf beach and a few metres more for family-friendly, sheltered Scotts Head beach and shops. It’s the quintessential, dream Australian beach holiday, right here at the A Frame in Scotts Head. Cosy, bright and open-plan, the living space showcases the A-Frames classic sloping ceilings, exposed beams and polished floors. Relax on the comfortable, wraparound sofa while watching the flat-screen TV or utilising the high-speed Wi-Fi. A narrow timber staircase leads to the sleeping quarters upstairs, with a retractable child safety gate at the top of the stairs so parents can rest easy that young children are safe at all times. The living room features glass doors which open up to the grassy outdoor space and the amazing, endless view. Included into the open plan living room is a 6-seat capacity rustic dining table with modern chairs, ideal for sharing meals with friends and family in this classic Aussie beach house. A simple, classic, fully functional kitchen is situated in the corner of the living area, with plenty of bench space, a microwave, cooktop and oven. 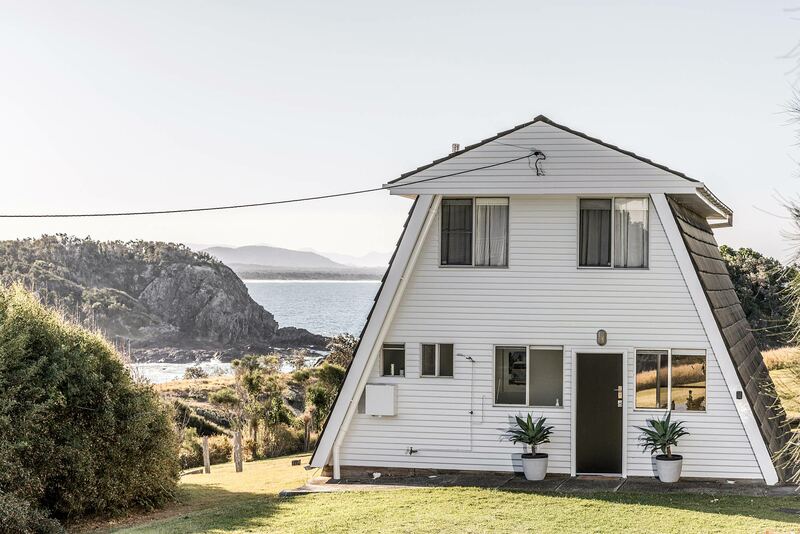 The A-Frame at Scotts Head comfortably sleeps 7 in gorgeous attic-style bedrooms, with cosy sloping ceilings. The master suite opens out to a private balcony with outdoor seating and the magical ocean vista. A large, flat grassed area surrounds the house to the rear and front, perfect for games of summer cricket, kids roaming free and BBQ’s while drinking in the view. Discover the magic of the dolphins frolicking in the waters below and witness the amazing Humpback whale migration in the winter, all from the grassy verge of this beautiful beach home. The A-Frame is pet friendly which means your much-loved pooch can enjoy this amazing outdoor space too. The property is not fenced however so please mind your furry friends. A covered outdoor entertaining area sits just off the living room, with timber dining table and bench seating, a BBQ and sun loungers. An outdoor fire pit makes for perfect nights outdoors, no matter what the weather. 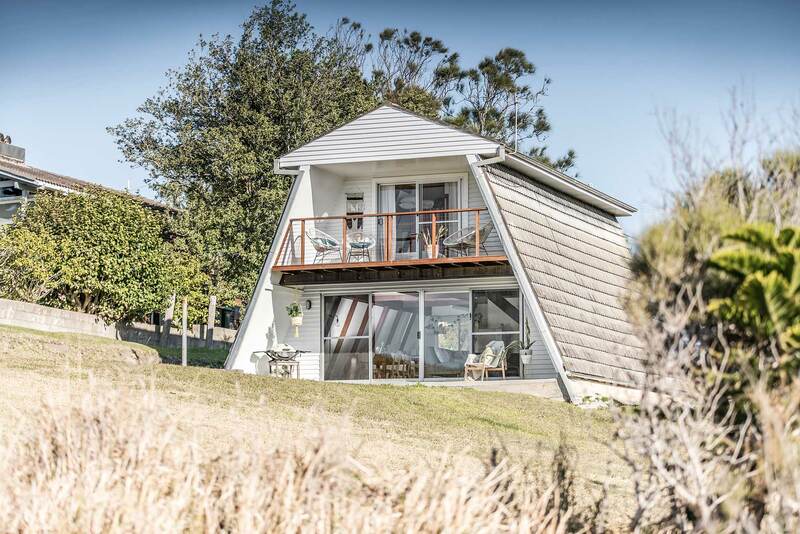 The A-Frame is located in the sleepy seaside town of Scotts Head in the Nambucca Shire on the beautiful Mid North Coast of NSW. This classic coastal village sits on the shores of the Pacific Ocean and promises sun, surf and sand with safe, sheltered and patrolled (in summer) Main Beach for family surfing, swimming and kids learning to surf, as well as Little and Wakki beaches offering powerful surf for the avid surfers in the right conditions. The township has a range of takeaway food provisions, including a supermarket, coffee shop, bakery and Surf Club bistro. 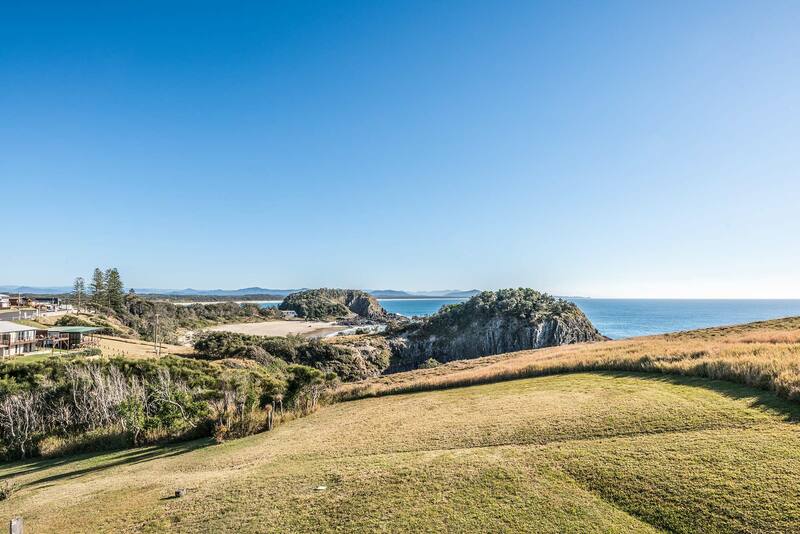 A short drive out of Scotts Head will access sensational rainforests and national parks, as well as some of the Mid North Coast’s must-see beaches and quiet fishing towns. Group restrictions - maximum of 7 adults/guests at the property unless otherwise approved directly with A Perfect Stay. No Schoolies or school-leavers permitted. No smoking inside the property. Group bookings for those who live between the Gold Coast and Brisbane will be via approval only. We were able to walk everywhere we needed to go - very relaxing, good cafes and village offered all amenities that were needed. The Grassy Goose restaurant at Grassy Head well worth a visit. We were really pleased to find somewhere that accepted our puppy - felt that the house was well fitted out for a relaxing time. The view, the view, the view! The view, the view, the view! 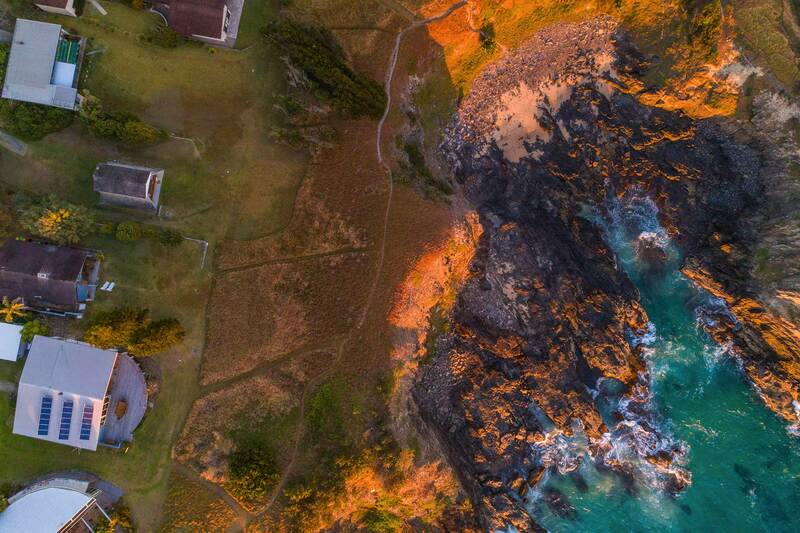 The sound of the waves, the rolling green lawn leading down to the ocean cliffs and a sense of seclusion. Lovely walks leading down to the village for a great coffee. The whole experience was good for the soul. The view is spectacular from the back. Loved the uniqueness of the A Frame design.